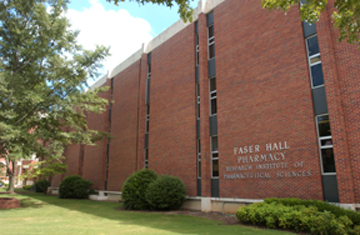 Located on the University of Mississippi’s Oxford Campus, Faser Hall is home to the School of Pharmacy. 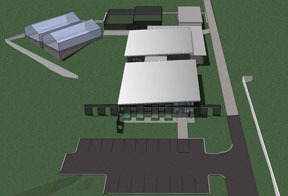 The building houses faculty offices, laboratories, and a skills laboratory and has 52,079 assignable sq. ft. Research equipment varies by each department. Please visit individual department web pages for detailed research equipment descriptions. The Maynard W. Quimby Medicinal Plant Garden of the National Center of Natural Products Research is a research garden that cultivates correctly identified medicinally important plant species from all over the world. The living collection of the garden comprises about 1,500 species. Botanists in the garden study taxonomy, biology, seed germination, cultivation, harvesting and post harvesting methods and conservation of the medicinal plants. Each year, selected species are harvested and processed for further research at the NCNPR. The garden maintains its own seed and DNA tissue bank which has over 1,000 accessions and a herbarium voucher collection. It collaborates with many national and international botanical institutes through International Plant Exchange Network (IPEN) of the Botanic Garden Conservation International (BGCI) to promote medicinal plant research and contribute towards the conservation of these valuable germplasm. Although, it is not a public garden, the public is invited to explore the plant collection and learn about the research we conduct here. Guided tours and group visits are always welcome with advance reservations. Please contact Derek Oglesby at (662) 915-6760 for further information. 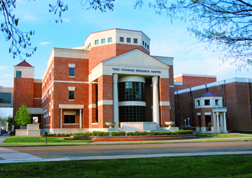 In February of 2012, the School of Pharmacy celebrated completion of a new education and research building on the campus of the University of Mississippi Medical Center. 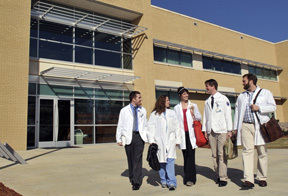 Third-year student complete their coursework at the UMMC campus, while fourth-year students use it as a base for rotations. Located on the northeast side of campus, the two-story, 29,692-square-foot building includes 17 classrooms, three research laboratories and a 173-seat auditorium. The labs provide space for researchers, both faculty and students, to expand their focus on medication-therapy issues. The building’s classrooms are tailored to the school’s educational model of problem-based learning.